Sizing Information for our Short Sleeve T-Shirts: - Sizing Charts and Specs. Home > T-Shirts & Tank Tops > Sizing Charts and Specs. > Short Sleeve T-Shirts Sizing Info. PLEASE NOTE: Since a large majority of our Short Sleeve T-Shirts are made by Gildan, we use their Sizing Chart. However, we do sell some other brands. While most manufacturers have very similar sizing, please be aware that sizes may vary. 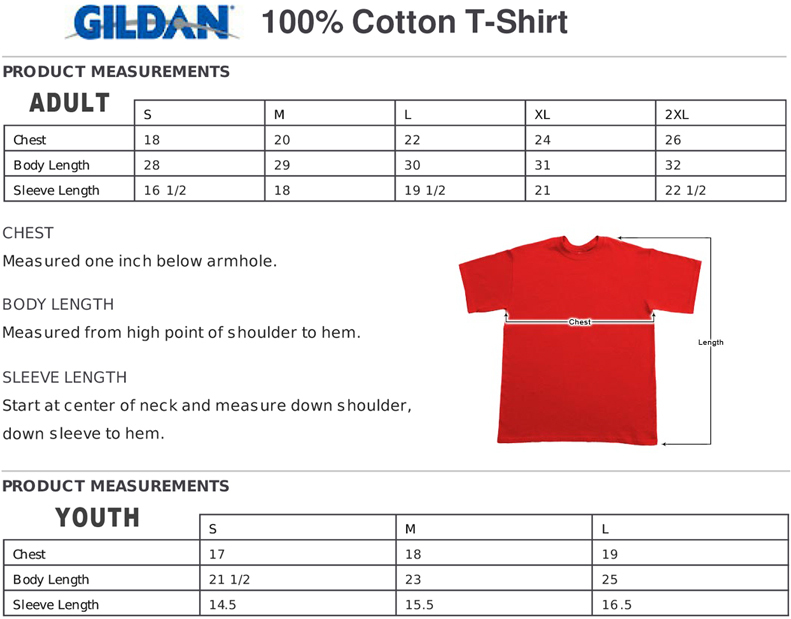 We use this Sizing information to give our customers a general guideline. » Sizing Charts and Specs.